An English pianist living in Rome witnesses the brutal hatchet murder of his neighbor, a psychic. With the help of a tenacious young reporter he tries to discover the killer using very unconventional methods -- and the two are soon drawn into a shocking web of dementia, savagery and violence. 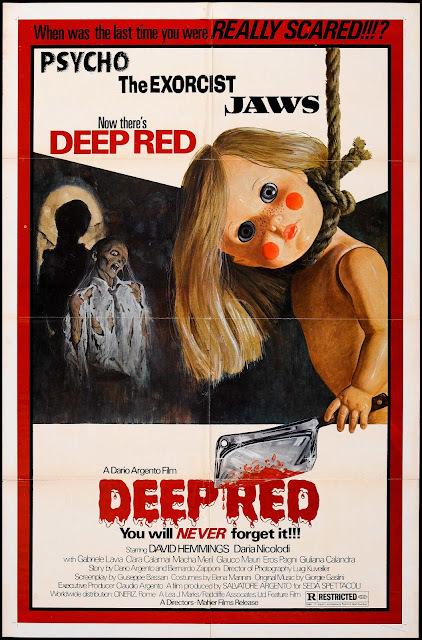 Deep Red is a film directed by Dario Argento, co-written by Bernardino Zapponi. It marked a triumphant return to the giallo films he is known for, following a brief dalliance in television, and an uncharacteristic comedy western picture titled The Five Days, which he made after his Animal Trilogy. Here is where a now seasoned director took everything he experimented with in his early career and brought it all together with masterful results. The camerawork, always impressive before is now even more stunning. We have the familiar hand-held POV sequences that put us right in the murderer's shoes, watching their victims from within shadows. Mesmerizing close-up shots of the killer's eyes, black leather gloved hands, and steadicam tracking shots through fragments of creepy memories. Along with perfectly framed wide-angle views capturing the action with shadows thrown on ancient stone walls and columns. The colors are ever so vivid, a bloodier than blood red is the motif that repeats itself throughout all of the fantastic set pieces. Again an unsettling nightmarish atmosphere is created from these visuals, taken to another level with the eerily empty and quiet streets of Turin standing in for Rome. At night the silence is surreal, and Argento intensifies this feeling by placing extras who stand in place in the background, existing but not quite alive, like mannequins. The acting is again a step above what came before, with a fine performance by the late David Hemmings as Marcus, a musician from London who stumbles into a murder mystery. He plays the perfect everyman here, though thin on character, he is easy to identify with. Supporting him is Argento's muse and long time partner in life, Daria Nicolodi. The creative inspiration behind his later supernatural horror films like Suspiria, here she plays a young reporter who helps Marcus along the way, providing some admittedly awkward comic relief, but the two do share some amusing chemistry together that is very fun to watch. After his falling out with Ennio Morricone over the soundtrack for Four Flies on Grey Velvet, Argento discovered Goblin, and this would mark the first of many collaborations with the iconic progressive rock group. Their soundtrack here is quite simply amazing and unforgettable, particularly the mood setting main theme with it's constantly shifting time signature and bass driven melody, and the ultra creepy recurring lullaby track which if heard out of context might even be considered a cute children's song. Never before has anyone made bloody murder look so stunningly beautiful. Oozing with style, from the unique camera angles, the fantastic lighting, the gorgeous sets, the breathtaking scenery, the brutal prolonged killing, the suspense filled plot, to the pulse-racing soundtrack. 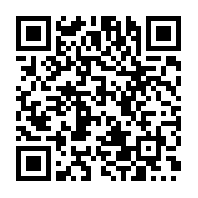 Savor this one on a large widescreen, in the dark, and with the volume cracked up high. Definitely want to see that.